How Does a Sale Happen? It’s extremely gratifying for a business owner or sales professional to close a sale. For me it’s not just a “win.” It’s the awareness that I have satisfied a sincere want or need for another human being. I have helped them in some way. I have provided so much value that they willingly compensate me for what they are receiving. I just completed 2 days of sales coaching and training with a local franchise owner. I shared with them my belief that traditional sales training does not work. The goal here is to begin to make a connection. I like to think of it as the first step in making a new friend. My aim is to engage them warmly, positively, and sincerely. Don’t be fake here! Take a genuine interest in them and begin looking for ways to serve them and add value to them. It is helpful if you can ask some questions which provide general knowledge that they do not mind sharing. Almost everyone enjoys speaking about themselves so keep the focus on them. Make it an enjoyable experience for them in that initial conversation. This is a more extended conversation where you are able to conduct a needs assessment. The initial conversation may flow naturally into this deepening level of conversation, or this may be another appointment where you have more time to learn more about them and their business. I like to ask S.P.I.N. questions. Learn about their Situation. Seek to explore what Problems they may be having that you are uniquely qualified to help them solve. Take time to go deeper into the Implications for them if they do not resolve this problem. Then ask questions about the Need–payoff. In other words, how will their life be better if they solve this problem? The final part of the Selling Conversation is offering a tailored solution. But don’t go here to quickly. Give them time to reflect on the implications and need-payoff so they will want the solution you have to offer. This solution may be in the form of a proposal or a quote. Invite objections! That’s right. Objections are typically the points of uncertainty or lack of clarity. Follow the objection carefully to understand what additional information they need to make a buying decision. Remember, you’re not trying to “sell” them. You are simply trying to make it easy for them to buy. No one likes to be sold but everyone likes to buy! 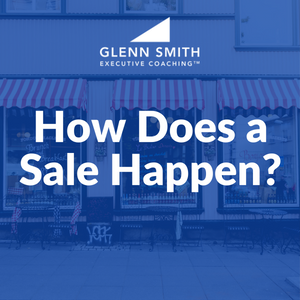 If we do a good job in the Selling Conversation and then respectfully and satisfactorily answer their questions and objections, at that point the sale will almost close itself. If you need force or pressure to close a sale you are either not doing a good job of understanding their problem or you are not doing a good job of showing the value you can bring. Finally, once the sale is closed be sure to deliver on your promise. Make sure your customer is totally satisfied. It’s helpful to have the sales process clearly in mind. By doing so we can be prepared for every step in the process. What would you add to this process? 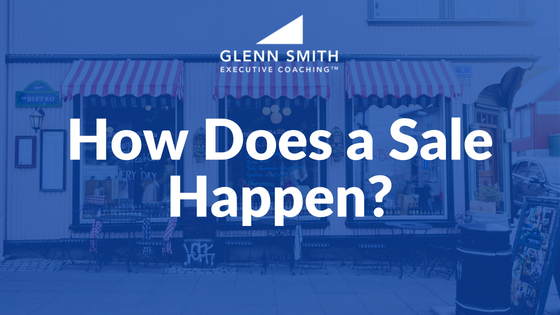 The sales process has at least 5 steps, initial conversation, the selling conversation, objections, close, and delivery to customer satisfaction. Great stuff in here Glenn. Thanks for sharing. My question is, what do you advise as the average lead time between these steps ,thus ,worthy considering to take before moving to the following stage / step.